Get your official colouring page here! 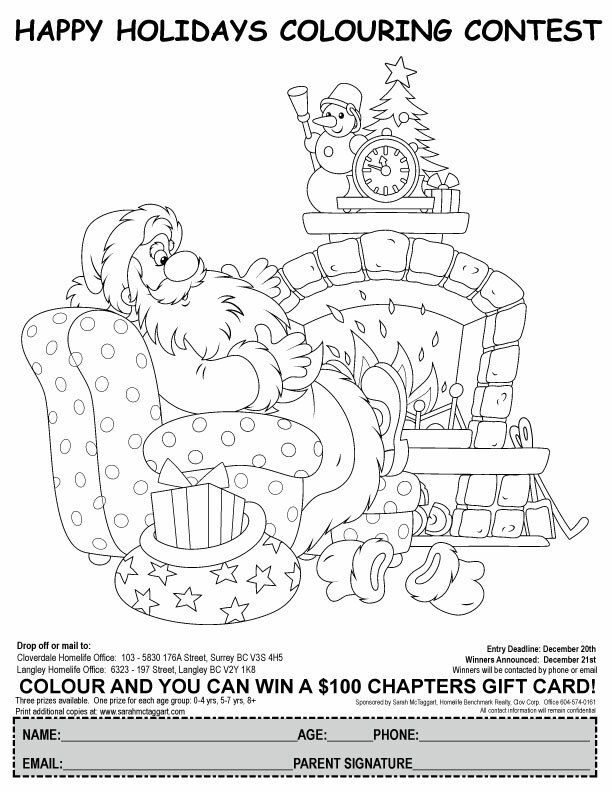 Kids, get your crayons ready for the Happy Holidays Colouring Contest, and your chance to win a $100 Chapters gift card! Print off the official Happy Holidays Colouring Contest page from this file as many times as you would like, and return the completed masterpiece (with entry form filled out) to Sarah McTaggart ! Have fun & good luck!